Often, many peoples’ first impression about Live-In Care is that it is intrusive to daily life. The thought of allowing someone into either yours or a loved one’s home can be a prospect many people dismiss before finding out the facts about live-in care services. 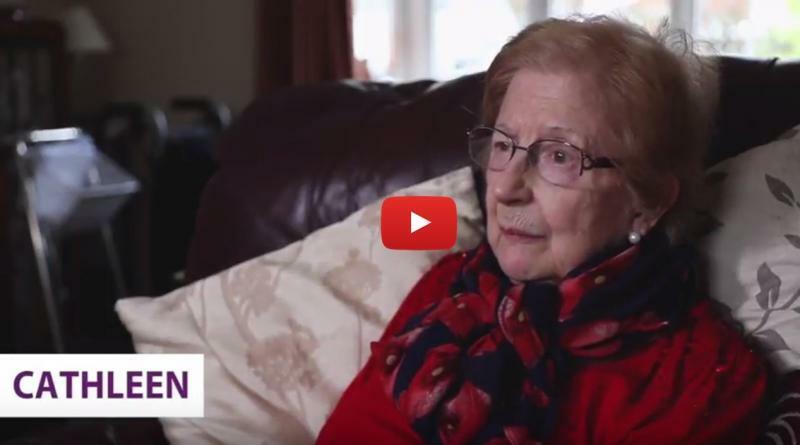 Cathleen was one such person who, after coming to the realisation that she would be unable to care for her husband, started looking at Care Homes after dismissing live-in care as an option. That was until her daughter suggested she give it a go to see how her and her husband get on. Now, Cathleen says that live-in care has “turned her life around” and would recommend it to “anyone”. The reasons for this are numerous, however, the ability to retain the independence of staying in your own home coupled with the families’ peace of mind knowing their loved one is receiving the best possible one to one care 24 hours a day 7 days a week, is a major factor in Cathleen’s delight at the service she receives and turn around in emotions towards live-in care. Cathleen welcomed carer Edith into her and her husband’s home and the three have since bonded after being carefully matched by our team. The addition of Edith as Live-in carer has been life changing for Cathleen as she is now able to have a closer relationship with her husband which was not possible when Cathleen was sole carer. In her own words, Cathleen ‘Cannot fault any of it’ and was more than happy to have us come and visit her at home to film our customer story video you can see below. Cathleen’s knowledge that we are always here for her and regular visits from our friendly team also enable her, her husband and her family to have additional peace of mind that she is well looked after and treated with the best possible care. For more information on how Live-in Care services could be the answer for you or a loved one, then visit our WEBSITE or contact us on 01932 901444 today.